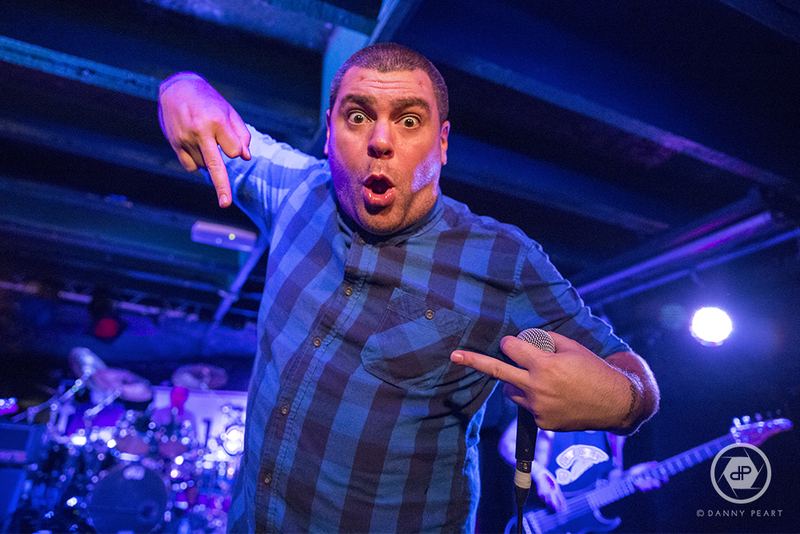 You are at:Home»Live Reviews»Alien Ant Farm & InMe kick off 2016 by rolling back the years! It’s not often you get to The Duchess in York to be greeted by a line of fans of all ages strung around the side of the venue, but tonight is the exception as rumor has it tonight’s show is sold out and a little over capacity. 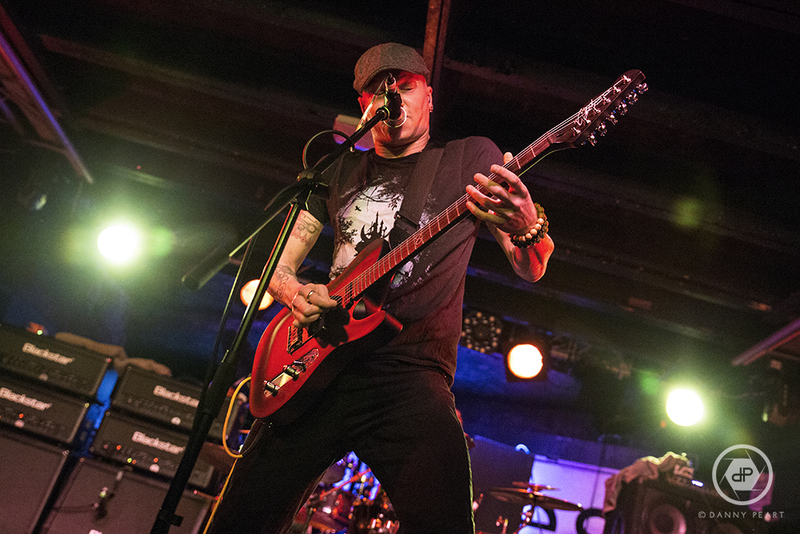 But that’s because the California rock quartet known as Alien Ant Farm are returning to the UK alongside InMe to help them storm across the country. Before things get out of hand for the headliners, Essex’s very own InMe (6) have the challenge of warming up the crowd and making sure everyone is in tip top shape ready to party. Beers are flowing and the crowd are piling into the main room as InMe take to a small, rather packed stage thrashing out the heavy intro to ‘Saccharine Arcadia’ to begin the set on the front foot. The hasty ‘Myths & Photographs’ from 2007’s ‘Daydream Anonymous’ follows with it’s guitar tapping brilliance displaying the bands talent as the front-man Dave McPherson and guitarist Gary Marlow strike a pose together as they tear through the end of the song with a lighting fast guitar solo. In response to the question “Has anyone here heard of us before?” from the front-man, the room is noticeably split in it’s response as the front third of the crowd are arguably here to see the Metal four piece as they cheer back loudly whilst everyone else watches on from the sides and back of the venue, which is no surprise as there is quite the contrast in music between the headliners and main support. Those who do know InMe are singing along throughout the next track ‘Firefly’ to the best of their ability. It’s steady progressive intro/verse builds up with a muted riff to a catchy chorus, which leaves everyone across the front bouncing along. The stand out song of the set ‘Safe In Room’ does enough to win a few new fans for the band with its energetic riffs and solid vocals from Dave McPherson, which is played with real confidence. The set continues and the pace drives on through the likes of ‘Underdose’ and the more recent ‘Hymn: Ivory Elder’. As solid as a performance this is from InMe the crowd are getting a little restless towards the end, especially during ‘Legacy’ which is drowned a bit by the sound of chit chat around the room from those who have seen enough. The band sound great live and look tight onstage, but do lack excitement and diversity throughout the set. 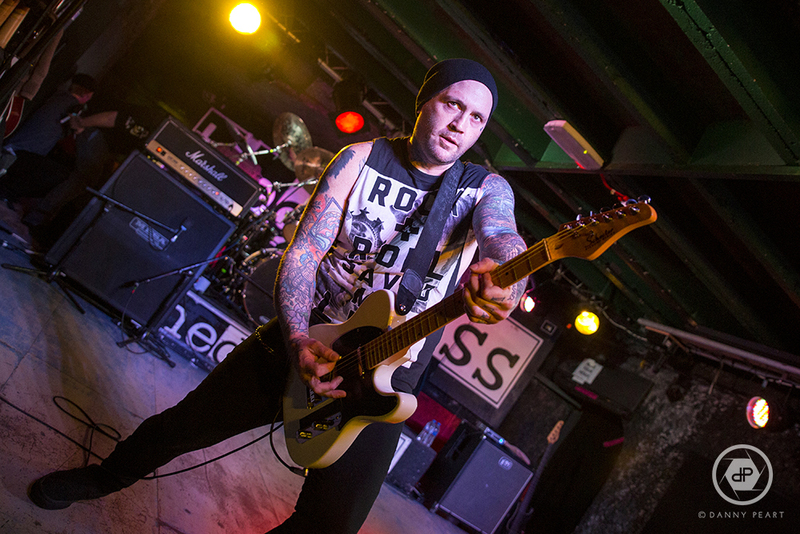 ‘Faster the Chase’ closes the set and the front-man has the crowd open up at the front for the first proper mosh pit, and a rowdy response follows to leave the set on a high. An overall tight performance from InMe but we cant help but feel they have something more to give than what they brought to The Duchess tonight. Alien Ant Farm (7) on the other hand certainly don’t lack in character and excitement! The crowd are cheering out loud over the intro to ‘Courage’ as front- man Dryden Mitchell stumbles onto the stage looking dazzled by tonight’s turn out with his jaw almost on the floor. 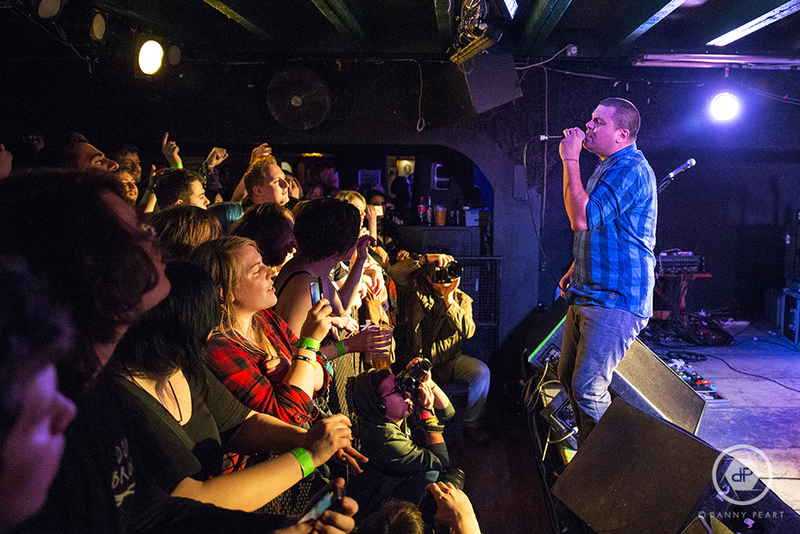 It’s no surprise to see such a large turn out, especially when Alien Ant Farm are touring their hit album ‘ANThology’ in full in celebration of its release 15 years ago! The crowd favorite ‘Movies’ is predictably next on the list and sends the Duchess into mayhem, with the crowd bouncing and moshing along to the infectious chorus, as the front-man walks across the barrier high fiving and hugging the front row, with the occasional pose for the photographers trying to keep up with the action. The solid start continues with ‘Flesh and Bone’, ‘Whisper’ and ‘Summer’ which finds a few fans crowd surfing in an almost impossibly small venue over to the stage to be greeted by the front-man. 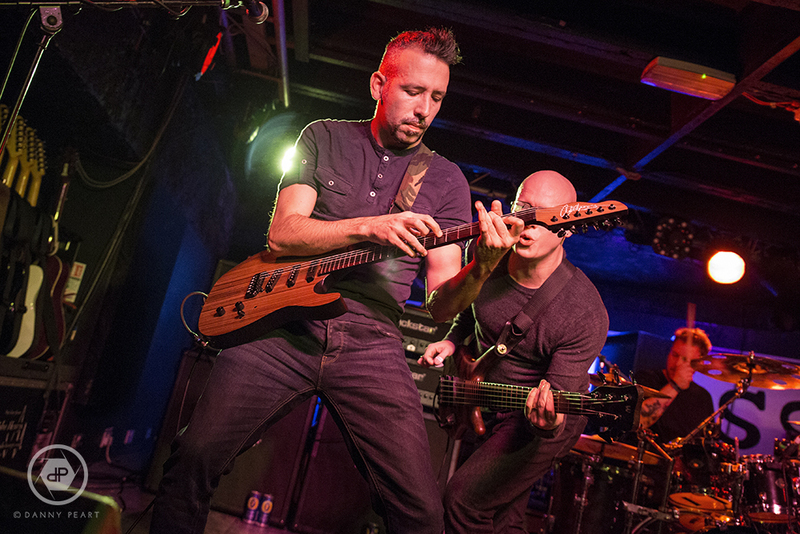 Guitarist Terry Corso and Bassist Tim Peugh make full use of the stage space available, as they drop back and forth jumping along with the crowd in sync to the bouncy infectious choruses from the ‘ANThology’ filled setlist. Dryden toasts the crowd for an awesome turnout before telling everyone a comical story about his relationship with his mother, and stating she’s probably “getting drunk right now in San Francisco as its what she does best”, before introducing the next song ‘Attitude’ as his and her favorite Alien Ant Farm song. And judging by the positive response from the crowd who clap and singing along throughout, it’s one of their favorites too! The front man sheepishly joins in trying not to slip over on the increasingly damp stage. “This floor is extremely wet, welcome to the duchess she said…” jokes Dryden, but wet floors don’t cause any problems for guitarist Terry Corso, who bounces through ‘Calico’ like he’s on a pogo-stick. Dryden pulls out the acoustic guitar for a lighter swaying Performance of ‘(Happy) Death Day’ which sounds fantastic live, creating an arena moment on a tiny scale with a couple of fans up high on their friends shoulders waving along. The predictable Encore sees the band return to the stage to play a couple more songs from another album. The cheerful ‘Glow’ sees the return of the acoustic guitar, and ‘These Days’ as requested by the crowd, takes things up to the next level with it’s catchy chorus and rocking riffs. Everyone ere tonight has been excitedly waiting for Alien Ant Farm to pull out the cover of Michael Jackson’s ‘Smooth Criminal’, and it seemed inevitable that the bands super hit cover was going to close the night off in style! 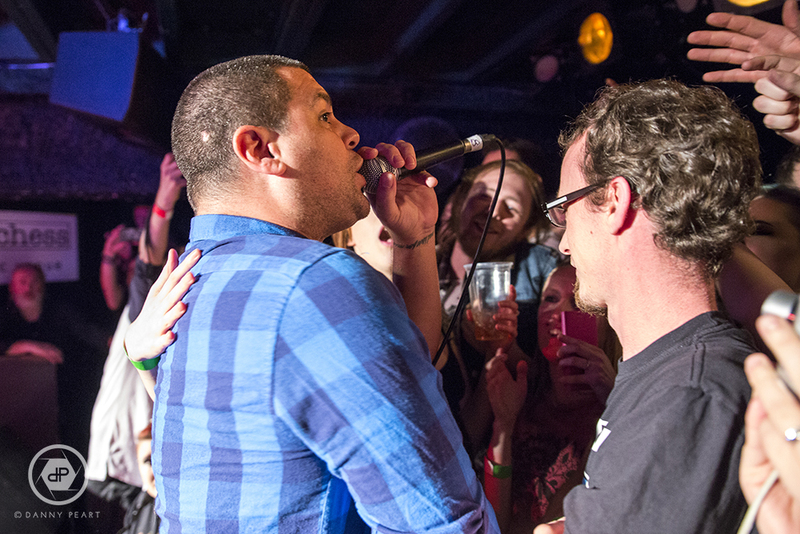 “Alright York… lets hear it!” demands Dryden before the Duchess erupts into mass moshing and singing. Dryden has the crowd participating in the breakdown before one last chorus, which leaves everyone in a sweaty mess. Looking at dates on this tour its hard not to wonder why this show wasn’t at York’s Fibbers music venue, as it would have likely also sold out, but sometimes the smaller more intimate shows are the best, and Alien Ant Farm know this far to well. A fantastic performance from AAF and one everyone will certainly remember here. What better way to start off the year than with a trip down memory lane? 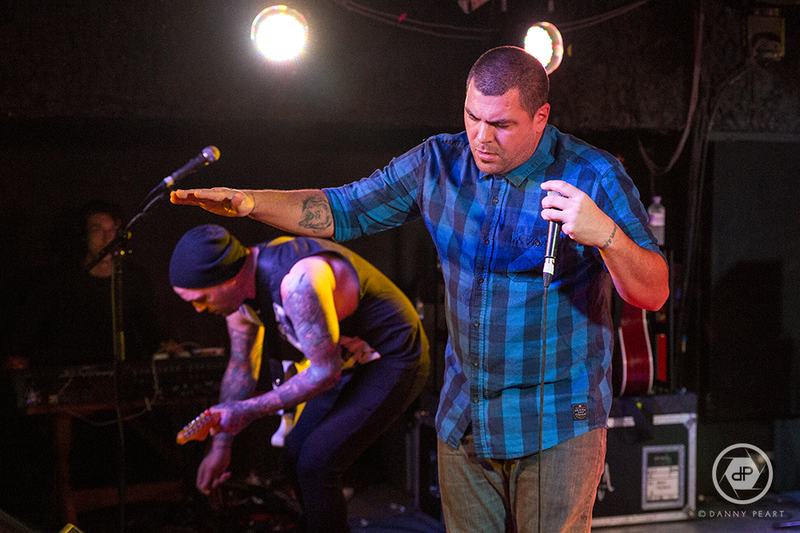 Check out our Live in Photos section for live shots from this show of Alien Ant Farm & InMe!